In an effort to help streamline our security offerings, Intel is winding down its Intel® Anti-Theft Technology business, including its Intel® Anti-Theft Service. 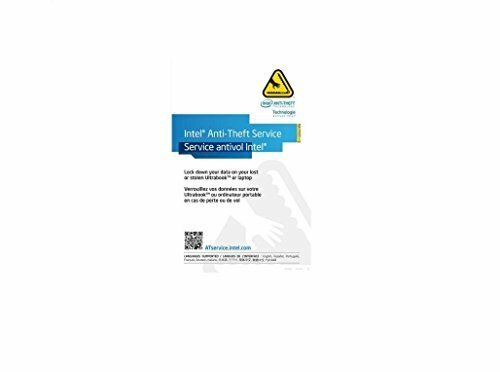 Intel® Anti-Theft Service will be terminated by the end of January 2015. If you are a current user of Intel® Anti-Theft Service and your subscription ends after this date, Intel will be contacting you with further information about your subscription. If you are a user of another company's product that relies on Intel® Anti-Theft Technology, please contact the company directly to learn more about its plans. Enjoy a more secure computing experience. Learn how your Intel® CoreTM processor-based PC gives you more peace of mind when you start up your system and provides faster data encryption to keep your information safer without slowing you down. If you have any questions about this product by Intel Corp, contact us by completing and submitting the form below. If you are looking for a specif part number, please include it with your message.